A lone bank robber is suspected of three holdups in south Mississauga and Brampton Wednesday afternoon. Based on descriptors, police are looking for one suspect, said Peel Regional Police Const. Bancroft Wright. The first incident was an attempted robbery in Lakeview at 12:10 p.m.
A suspect entered the BMO along Lakeshore Rd. and Shaw Dr. and passed a letter demanding cash. A weapon was mentioned, not seen, and the man – working alone – had his hand in his pocket. But the suspect ran off before cash was handed over. 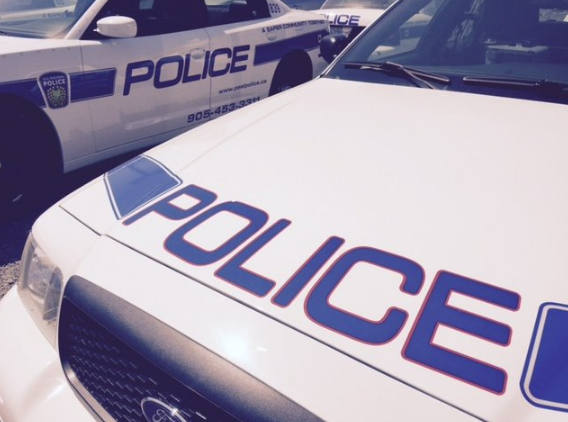 The second and third robberies took place in Brampton. A call came in from the TD Canada Trust at Cottrelle Blvd. and Hwy. 50 at 1:09 p.m.
Again, a suspect passed a note to the teller and a weapon was mentioned but not seen. This time, the man made off with cash and hit the road. The suspect was possibly driving a newer model white Dodge with unknown plates. At 1:27 p.m., a CIBC at Castle Oaks Crossing and Hwy. 50 – less than 2 kms north – was targeted, and the suspect got away with cash. The man fled, however, it’s unknown if he was on foot or in a vehicle. The suspect is white, in his 20s, with red facial hair. He was wearing a black hoodie and black track pants. Anyone with information can phone central robbery unit investigators at (905) 453-2121 ext. 3410 or Crime Stoppers 1-800-222-8477. ← Public art installation unwraps along Hurontario St.